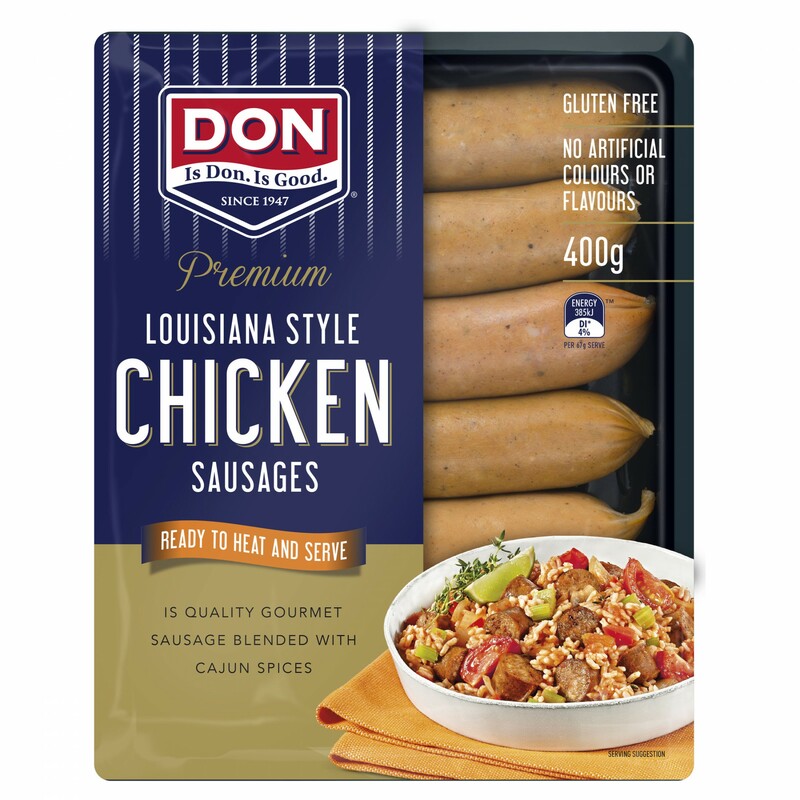 Ready to heat and serve, these premium sausages are inspired by the flavour of Louisiana, blended with Cajun spices. Gluten free and made with no artificial colours or flavours. Chicken (92%), Water, Salt, Spices And Spice Extract, Sugar, Dehydrated Vegetables, Emulsifier (450), Vegetable Protein Extract (Soy), Herbs And Herb Extract, Vegetale Oil, Edible Casing. Smoked.